The world keeps turning after last week's Grand Square/Grand Cross in Cardinal signs, and while individuals may be facing more intensity than usual, the news is pretty much as bloody and banal as it always is. The core of this four-planet complex -- Uranus in Aries square Pluto in Capricorn -- will still be active well into next year, so the transformational process we're all encountering is far from over. However, rather than trying to figure out how to avoid danger, or for the adventurous few, how to take this outer planet ride to higher levels of awareness, life moseys on for most of us most of the time. Find out how to maximize the good luck in your life with a personal Jupiter's Promises Report! It is the very normalcy of life that is its most constant component. Every day millions of cars pass each other in opposite directions, separated only by a painted line, yet it is rare when it's crossed and a head-on collision occurs. The opportunities for causing mayhem are everywhere, but the occurrences are few. Yes, people are suffering in Syria, facing off in Korea and fighting in Ukraine, but most places on Earth are blessed with peace. There are conflicts in families, at schools and work, yet harmony, love and cooperation are far more common than violence at home, in the streets and on the job. The overwhelming predominance of positive human experience is what makes the aberrations newsworthy. The destructive forces of hurricanes, earthquakes, volcanoes, blizzards and tsunamis are exceptions rather than rules. Of course, nature is not always benign from our point of view, but it continues to provide for the material needs of most of us. It's also true that every human has moments of pain and suffering, and my point is not to ignore them. Some people have extremely painful and difficult lives that deserve whatever compassion and care we can offer. But recognizing our physical and emotional well-being can give rise to the generosity that will help us to relieve the suffering of others. The primary astrological symbol for good fortune is Jupiter. This expansive planet ends its 12-month sojourn in cuddly Cancer on July 15, giving us about two and half more months to soak up the tender wisdom of this transit. 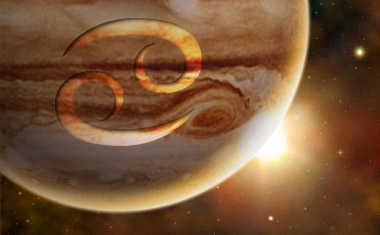 Giant Jupiter represents broad vision, optimism, and belief in the bountifulness of life on this planet. 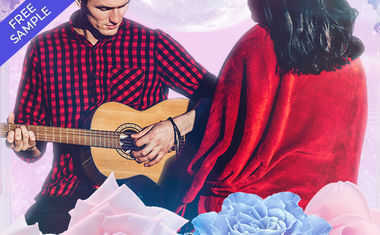 Its presence in emotional, instinctive and tribal Cancer connects the best of the past with a brighter picture of the future. Making this link can come in many ways, with gratitude being the most accessible. Giving thanks and appreciating what we have, even if it's only less pain today than we had yesterday, makes it likelier that we not only survive the hard times, but lay a foundation of faith for softer and sweeter days ahead.